I’d love to say I’ve always been passionate about food, but the truth is I used to be an incredibly fussy eater. I learned to cook from a very young age but up until I was about 15, I could barely go near a vegetable. These days I can’t wait to try something new. I love everything about food – from discovering a new dish to eating out with mates or cooking for my wife and kids at home. I love the stories around food too – the history of a particular cuisine, for example, or the idea behind a new restaurant. Most of all, I love sharing the enjoyment of food. That sometimes means going out to a great restaurant, but it can also be something beautifully simple like putting together a tasty sandwich using yesterday’s roast. I’m a firm believer that you don’t have to be an expert to be a “foodie” (that word has always made me feel uncomfortable). I’m just as interested to hear about someone’s homemade sausage stew as I am to read about a new Michelin-starred restaurant. And writing as someone who used to be afraid of carrots, I understand better than anybody that anyone can love food. Tough one to open with! So many great little restaurants have popped up in Brighton over the last few years, but I think I’m going to have to say the original Fatto a Mano on London road. 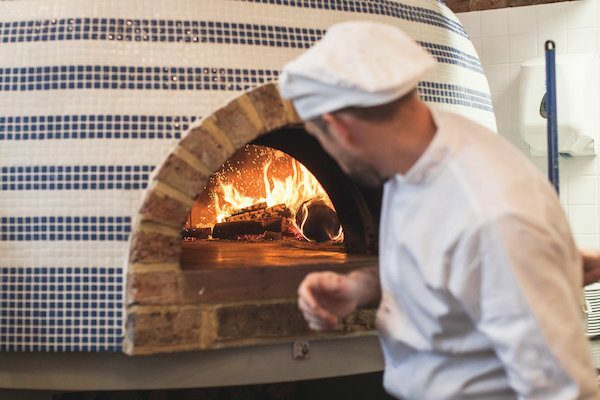 Their pizza menu is so simple but so authentic, with inventive specials that change all the time and a Neapolitan-style dough that’s perfectly light and pillowy. They do a lovely range of beers too, as well as great coffee and some amazing desserts (don’t go without trying their Affogato). Last but not least, they offer a free kids’ menu with every adult order, which means eating out with three children has finally become affordable. Street food. It’s become such a popular style of eating and I just love the way you get these dedicated chefs delivering really great food from tiny little trucks and stalls. It’s so varied too – you can get anything from traditional fish & chips to specialities from around the world (I think my favourite is a Vietnamese banh mi – a baguette filled with spicy meat and pickled vegetables). 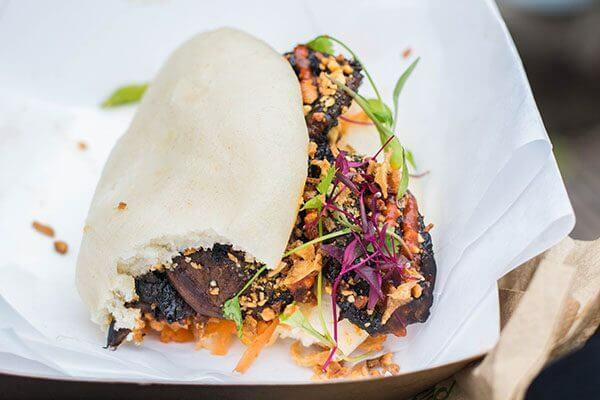 Street food in the UK has come so far since the days of dodgy fairground hamburgers, and I love that people are now eating all these amazing dishes instead of settling for supermarket sandwiches on their lunch break. Which is your favourite well-known chef ? I’ve always been a big fan of Anthony Bourdain. For me, good food is all about the enjoyment people get from eating it – be that a Michelin-starred dessert or a plate of chips from their favourite pub. Bourdain communicates this brilliantly in his writing and his TV shows. I love that he champions a huge variety of food as well, and that despite having worked as a top chef himself, he never comes across as elitist or pretentious about the dishes he prepares or enjoys. I’d also be lying if I said I wasn’t a little jealous of him. He basically travels the world eating amazing street food for a living! I’ve worked as a writer in advertising and marketing for the last 15 years. 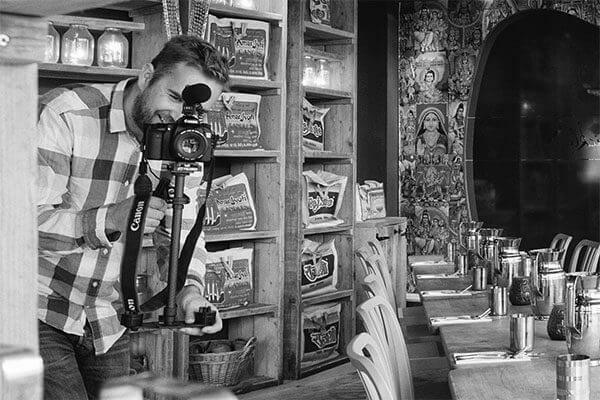 I’m also a videographer and make films about food (among other things). Reviewing restaurants is a great way for me to combine my professional experience with what has become my biggest passion – food and drink.